September 19 2017. 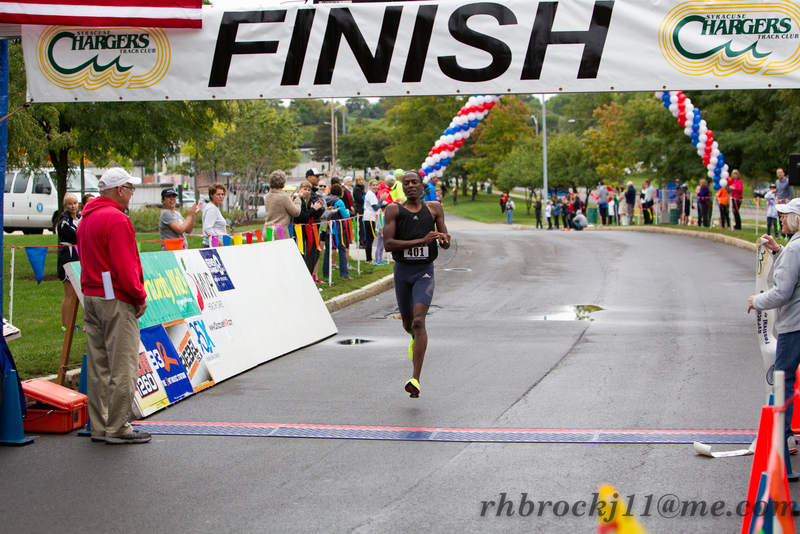 It is 12 days to the big race, the final 5K Masters Championship at the Syracuse Festival of Races. Since 2008 it has been a fixture on the Masters Championship circuit and the site of many American Record-breaking performances, and PR’s too numerous to count. Known for the gentle flow and speed of its race course and the encouraging demeanor of its Director, Dave Oja, it is arguably the most popular race on the circuit; it draws the largest number of runners annually. We have 228 runners registered already and may be headed for a record. Last year 276 runners entered. Let’s see who we have at this point. Previews and predictions are based on current entries as of 9:00 pm Saturday September 16th. Many will change by the time we learn the final list of entrants. Men. The overwhelming favorite is Kevin Castille, who won here last year in 14:46. It appears that he is running just as fast this year. He won the Masters races at the Falmouth Road Race (7 Miles) in 35:35 and set an American Record and World Best 15K at the Utica Boilermaker in 46:10. That is a 4:57 per mile average and the Utica course is known for having a couple of challenging hills. It seems unlikely that anyone else will break 15. The bigger question is whether he can shave 2 seconds off of his winning time from last year and break Dennis Simonaitis’s 14:45 American Record. John Gardiner, the 2017 Men’s 40-44 Masters Grand Prix Champion, finished 2nd last year in 15:12 but is not yet entered. 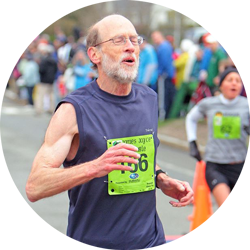 David Angell, the speedy distance runner from the Blue Hills of Virginia,and the 2017 8K and 10K Masters Champion, finished 3rd in 15:19 and is entered. If the race were held today, it seems likely that Christopher Shaw, Jr. and Kristian Blaich, who finished 6th and 7th last year would be fighting it out for the bronze medal behind Castille and Angell who would be favored for 1-2. Because he was coming off an injury last year, I will give Blaich the edge over Shaw. Kirt Komocki, Greg Putnam, and Jake Stookey would be in the hunt for a podium position as well. Women. The Women’s race should be much closer than the men’s. Last year’s winner, Janet McDevitt, finished 4 seconds ahead of Silver medalist, Sascha Scott, and 6 seconds ahead of Bronze medalist, Sonja Friend-Uhl. McDevitt has not yet committed to traveling from Bainbridge Island, Washington as she did last year. Scott and Friend-Uhl are both entered and are the current favorites. I would give Friend-Uhl the edge because she was coming off an injury last year that cost her a good part of the summer. She ran a 5K 3 weeks before last year’s championship in 18:49. 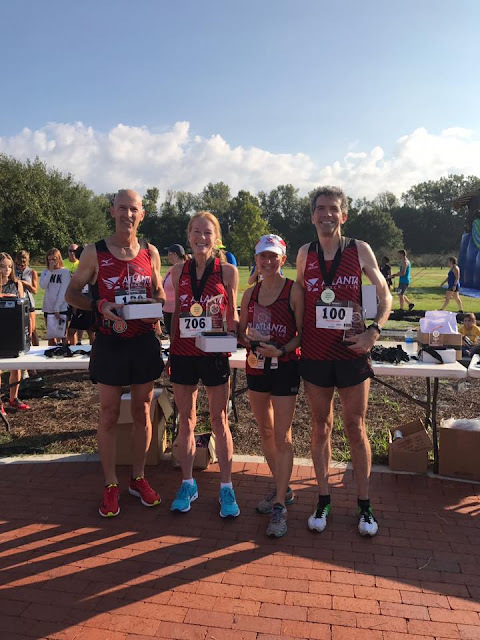 And even though she was able to lower that time to 17:46 in the Championship, she has been running her 5K races this summer in 17:34 to 17:43. That suggests a 17:30’s 5k in Syracuse might be within her reach and that should be enough for the win. Because Scott focuses more on duathlons, triathlons and obstacle courses, it is harder to gauge her running fitness. But it appears Scott is also fitter this year. In June she runs in the JP Morgan Chase Challenge, a 3.5 mile race. In 2016 she ran 21:20; this year she clocked 20:31. It should be another barn-burner of a race, especially if McDevitt shows up. Marisa Sutera Strange, who finished 4th last year, is nursing a hamstring injury and not expected to be at her fastest. Holly Ortlund, who finished 5th last year has not committed; Fiona Bayly, who finished 6th, will not be able to compete because of work conflicts. Christy Peterson, who ran 18:23 to finish in 9th last year, has been running stronger this year and will likely figure into the race. She ran the Asbury Pk. 5k in August this year 43 seconds faster than last year and ran the Bjorklund Half Marathon at Grandma’s 40 seconds faster than last year. PR’s have been falling left and right for Peterson this year. Renee Tolan will also have her say in the race. 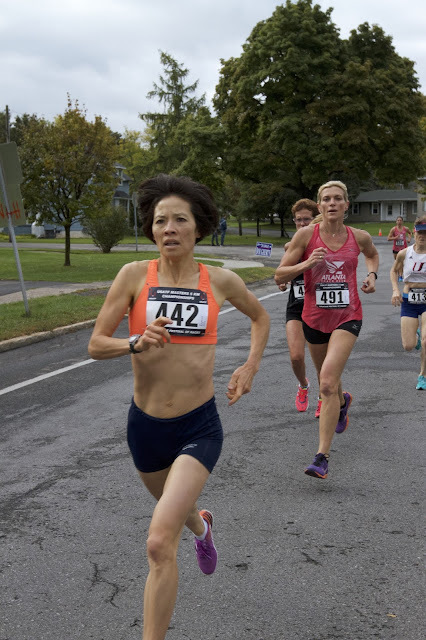 She ran 17:47 in the 2015 5k Championship and is fresh off Masters victories in the GNC Liberty Mile at Pittsburgh and the USATF 1 Mile Road Championship in Flint. So Tolan has speed, but does she have the lasting speed for a 5K? Her Beach to Beacon 10K was 38:50. That is a good time, make no mistake, but she ran 30 seconds faster last year in the same race. Tolan will definitely be dangerous if she is in the hunt with less than a half mile to go. Of course, Friend-Uhl is a track champion, so that would be quite a duel down to the finish. Scott had better build up a gap in the middle of the race. Women. The top 6 women last year were: Kathy Martin, Libby James, Marisa Sutera Strange, Nancy Stewart, Edie Stevenson, and Nora Cary. As mentioned above, Strange lacks her usual fitness at the moment. I understand that James is ill and will not make the trip this year. Martin has not committed yet; she usually runs this race and often enters late in the registration period. Stevenson and Cary are entered and will presumably be competitive. Stevenson has been running strong this year with the age-grading win in the 8K and a 3rd place at the 10K Championship Sabra Harvey did not compete here last year but is probably the favorite among those currently entered. She took the Age-Grading crown at both the 10K and the `1 Mile championships. 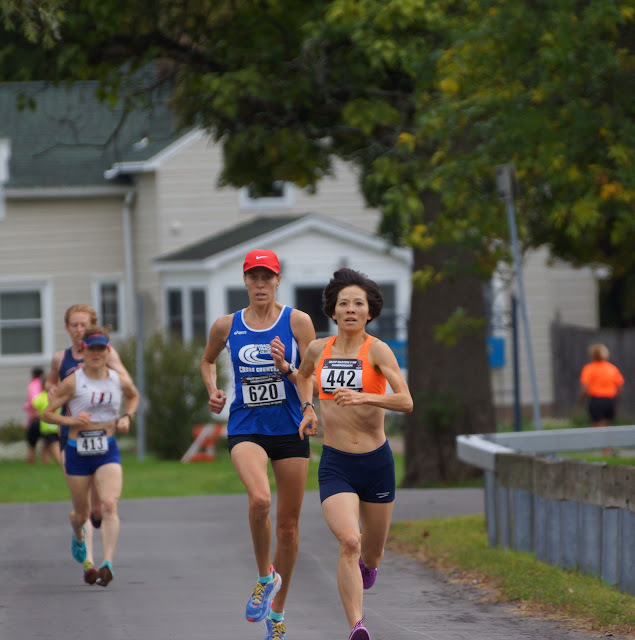 Susan ‘Lynn’ Cooke is also a contender; she took 4th in age-Grading at the 8K and 3rd at the 1 Mile Championship. Two other women in her group are also strong contenders. Doreen McCoubrie finished 3rd in age grading at the 8K and 2nd at the Half Marathon Championships. Laura Bruess took 5th age-grading in both the 8K and 10K. Men. The top 6 men last year included: Brian Pilcher, Kevin Castille, Nat Larson, Tom Bernhard, Carl Combs, and Kristian Blaich. Pilcher is on the comeback trail from a stress fracture in his foot and is not at the top of fitness. Bernhard is gradually returning to the form he exhibited last year but has not fully recovered from the time off due to knee surgery he had in the off season and a trip to Japan. It is not clear if Combs will be able to shake himself loose from Cross Country duties and make the trip from Eastern Washington. Larson has not yet committed but we expect him to run here. Among those currently entered, Castille, Blaich, and Bernhard should battle it out for the podium. Castille is also the Age-grading winner in the 1 Mile Road Championship in Flint. Blaich took 2nd in Age-Grading at the 10K. If Doug Goodhue continues the impressive trajectory of his improvement coming back from injury, he could also factor in. Despite the 1 Mile Championship being his first real race this year, he still took 12th in age grading. Daniel King, who took 7th in age-grading at the 2015 USA Cross Country Championships in Boulder Colorado could also make things interesting. Men This division should go to David Angell, who is one of the contenders for the Overall win. Christopher Shaw finished 6th overall last year and should not be too far back from Angell; Jake Stookey, the barefoot runner from Willow Street AC, who finished 15th overall here last year, but grabbed a 4th place overall finish at the 8K Championships in Virginia Beach, is the next highest finisher registered at this time. GVH’s Kirt Komocki, who has been knocking out 16:39 to 16:47 5K’s this summer, could also be a factor, as well as Paul Jones who took 5th place in the Age Division at the 8K Championship in 27:08. Women It looks like this division will be a tight race between three of the contenders for the overall crown, Sascha Scott, last year’s Silver medalist, Renee Tolan and Christy Peterson. Tolan has been tearing up the mile races this summer, winning at Pittsburgh in 5:25 and running a 5:29 on the challenging mile course in Flint. Peterson has been setting Masters PR’s and making the Masters podium from Peachtree (with a 37:28) to Falmouth to Cow Harbor! 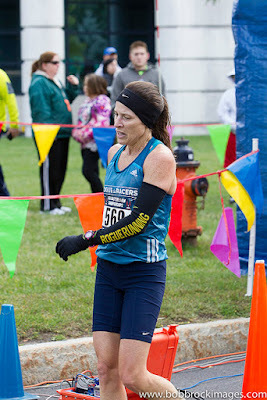 Suzanne Larsen, of Michigan’s Patient Endurance club missed the 1 Mile Masters Championship in Flint but ran a 5:29 in the Clawson Firecracker Mile on the 4th of July. She has been running her 5K’s in the mid-18 minute range but has an 18:04 to her credit this summer. She may well edge her way onto the podium. And what about Alice Kassens, who surprised the Masters world with a 3rd place overall finish at the 1 in Flint? Her best times in the 5K (19:54) and the 10K (40:45) this summer do not appear to be competitive but she showed at Flint that it is not just about times and she raced her way onto the podium. It will be fun to see how she does on the Syracuse stage. Women Sonja Friend-Uhl, who finished 3rd overall and won the division last year is a strong favorite to repeat. Team Rogue, out of Texas, has Cassandra Henkiel, last year’ 3rd place finisher in the division returning for a run at the podium. Those two should be ‘locks’ for 1st and 2nd. If Melissa Senall could get back to the fitness she had in 2015 when she ran 19:07 on this course, she would likely be favored for the final podium position. But based on her times this summer, it will still be a while before she returns to that level. That means that Brenda Hodge, of Pike Creek Valley, who ran a 40:43 10K this month, and a 1:01:42 in the Utica Boilermaker 15K earlier in the summer, is probably the favorite for the 3rd spot. Anabelle Broadbent, of Philadelphia Masters, who has run her 5K’s in the 21 to 22 range this summer, could also challenge. 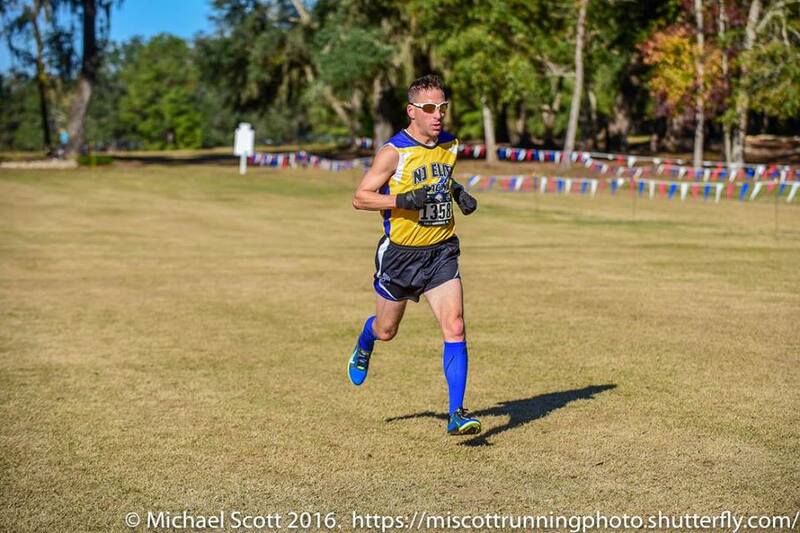 Men Kevin Castille, who just added a Masters win and 5th place finish overall at the Cow Harbor 10K to his 2017 resume, is the prohibitive favorite to take the division crown as he takes the Overall win. After 1st place, it gets much more competitive. Greg Putnam, who finished 2nd last year in the division in 15:53, and Jonathan Frieder who finished 5th in 16:06 are the top remaining runners from last year who are signed up. Frieder has the recent edge over Putnam, having edged him by 16 seconds in the recent CVS Downtown 5K. But Putnam, of the Central Mass Striders, has a new teammate in Castille-trained Derrick Jones, who battled David Angell on the roads in Dedham, winding up spent in challenging for the win but still almost breaking 33 minutes! 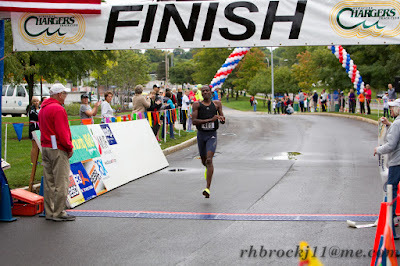 Jones also showed some endurance in taking 2nd among Masters Runners at the Utica Boilermaker 15K in 50:57. If Jones and Putnam can team up and spur each other on, they could well take 2-3 in this division. David Allison is a bit of a wild card as his main focus is trail running. Allison nonetheless found his way to the 2014 National Club Cross Country Championships in Bethlehem PA and finished 18th overall, only 7 seconds behind Kristian Blaich, and 2 seconds ahead of Philippe Rolly. Men With Nat Larson moved up to 55-59, Kristian Blaich is the clear favorite. Blaich lost 8 months of 2016 to injury and rehab and then returned to Syracuse for his first real race of the season and shaved a few seconds off of his 2015 time to finish 7th overall in 15:49. He is on form this year, finishing 2nd in Age Grading at Dedham with a 32:58 10K. After Blaich it looks like a battle royal for the remaining podium spots. Brian Crowley, Michael Kent, Mike Nier, and John Stadtlander all have a chance at the division podium. The Garmin Runners Crowley was running his 5K’s in the mid to upper 16 minute range in June. His times in August have been in the low to mid 17’s. If the low 16’s Crowley shows up in Syracuse he will be tough to beat. Michael Kent of the Triple Cities Running Club ran 16:23 last year to finish 5th in the division. But I cannot find any results like that this year for a Michael Kent in his mid-50’s. Mike Nier ran 16:39 here in 2015 but that kind of fitness has eluded him since then. He ran 17:22 last October and his 5K times this year have been in the 17 minute and up range. Stadtlander ran 17:03 last year to nab 7th in the division, ahead of Nier but Nier took him by 28 seconds in the 10K Championship this year. And in June of 2016 he ran a 5K race in 16:36; this year he clocked 17:14 and I can find nothing since then. Women With Marisa Sutera Strange off her usual fitness, it becomes tough to pick a winner for this division. Will she be taking it easy or just a half minute (or less) per mile off her usual pace? Trish Butler, who finished 2nd in the division to Strange in 2016, has been out of action this year, in rehab, enjoying her coaching duties and, like other Floridians, fending off or evacuating from Irma. This will be her first race of 2017. Last year Kristian Blaich was in a similar situation and came back to run faster than he had the year before. But I will make Laurel Park the favorite. She ran her recent 5K's in the 19:13 to 19:45 range and in 2016 ran 39:13 in the 10K Championships at Dedham. Even if Butler shows up close to top form, Park might have the edge. Lori Kingsley of Willow Street AC could push her. Kingsley has a 19:22 5K and a 40:50 10K to her credit this year. Michelle Allen, Karyl Sargent, and Laurie Wharton are likely to mix it up for the remaining two podium positions along with Strange and Butler. Allen had her first race since an injury sidelined her at Flint and gave a good account with a 4th place finish in 6:04 (net). She finished; she ran 21:08 last year. With a whole year of road racing behind her, that time could come down. But with the time off this summer, it is uncertain. Sargent ran 20:23 last year, 33:34 at the 8K Championships and 43:26 at a 10K in May. There is nothing since then, leaving us to wonder if that was an injury time out or just a busy summer with other priorities; either way it is her least active summer racing schedule in at least a few years. Wharton was right behind Sargent last year, finishing in 20:27; she seems poised for a similar effort this year as she ran the Macon Labor Day 5K 3 seconds faster than in 2016. That must be a downhill course because folks get killer times there--Wharton ran 19:29 last year and 19:26 in 2017! Women This looks like one of the most competitive divisions. Here are the main contenders thus far: Hall-of-Famer, Carmen Ayala-Troncoso, and former Age Division Runner of the Year, Doreen McCoubrie, will duke it out with Eileen Brennan-Erler, Laura Bruess, Susan 'Lynn' Cooke, Lorraine Jasper, Beth Stalker, and Mary Swan for the 3 podium positions.Swan is the defending champion; she beat Ayala-Troncoso by 5 seconds, with Cooke another 27 seconds back in 3rd. Swan's 4th of July 5K time was about 20 seconds slower this year but that could have been due to many factors. Still, her most recent outing at the Masters 1 Mile Championships in Flint, Swan was not as competitive as I would have expected, so there may be a fitness issue. Certainly Swan was running well earlier this year when she took Age Division 2nds at the 8K and Half Marathon Masters Championships. She finished behind McCoubrie but ahead of Bruess at the 8K and behind McCoubrie at the HM. And McCoubrie has continued to run at a high level with a 39:58 at an admittedly fast Utah 10K. But she also ran 5:33.5 at the Westchester Mile and had a 31:35 8K outing. It is also worth remembering that at recently as 2015 McCoubrie had a sub-19 minute 5K to her credit. Cooke has not quite been able to keep up with those three in the longer races, but she has done better at shorter distances. Despite a pesky Achilles issue, she took 2nd at the 1 Mile Championships. If her Achilles holds up, Cooke could well wind up on the podium again this year. Last year Jasper was injured but she has been running very well recently, especially at shorter distances. She won the division at the Masters Road Mile Championship in Flint in 5:51. 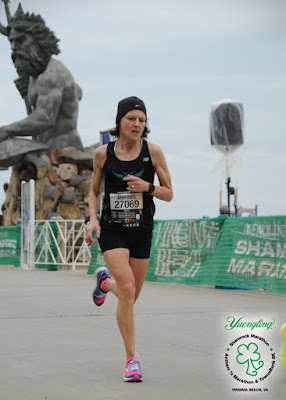 And she ran 19:59 here in 2015 so she has endurance to go with the speed necessary for the 5K.Stalker is a newcomer to the USATF Masters LDR circuit but has a 20:48 5K and a 41:38 10K to her credit this year. She could be in the thick of things as well. Men Although I am expecting Nat Larson to enter, he has not done so yet. If he does, he will certainly be the favorite. 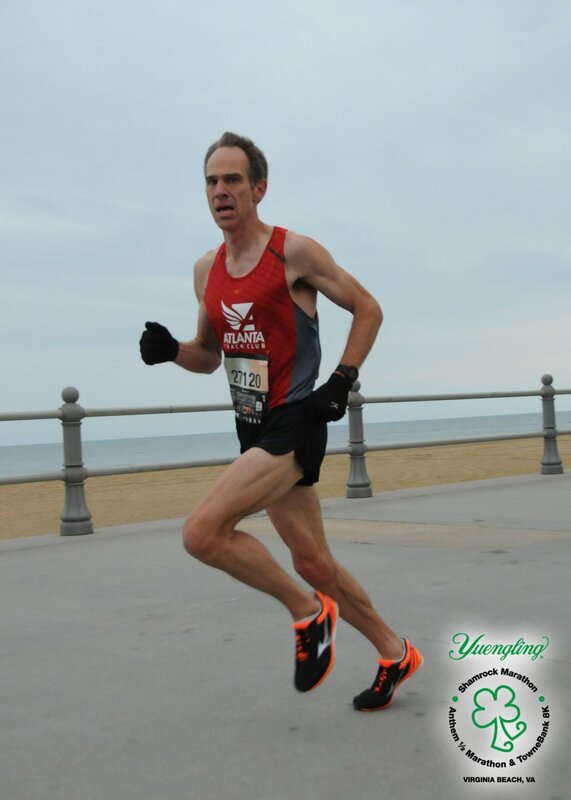 At the CVS Downtown 5K this past Sunday, he broke the 16:07 American Record, held currently by Vic Heckler and Brian Pilcher, with a blazing fast 15:54. In the meantime, who else will contend? The two main contenders should be Casey Carlstrom, who finished 3rd here last year in 16:58 and Daniel King, who won his age division at the National Club Cross Country Masters Championship in 2015 in Boulder Colorado. He finished at the front of a pretty impressive field of runners, including Brian Pilcher. Neither Carlstrom nor King choose to run many road races, preferring the trails and the cross country paths. But when they do they are formidable. 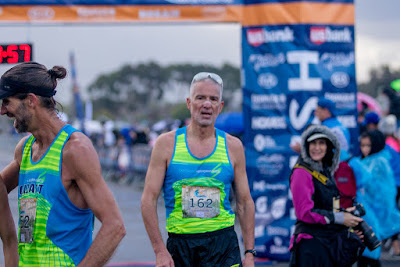 Others in the hunt include: Fred Zalokar, the Major Marathon Man, Gary Droze, Matt Ebiner, and Jeff Haertel who finished the race here last year in that order in 17:15, 17:16, 17:17, and 17:18! It might be a close race again this year. 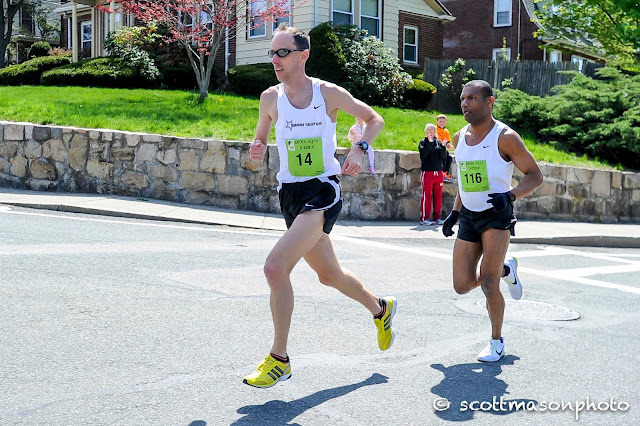 Jonathan Kline, who finished only 6 seconds back from Droze at the 10K Masters Championships in Dedham and has a 17:33 to his credit this summer at the Percy Sutton Harlem race, might well factor into the race. Two others who ordinarily would be contending are both somewhat off due to injury, Rick Bruess and John Van Kerkhove.